DMARC (Domain-based Message Authentication, Reporting & Conformance) is another method of validation or email authentication policy. DMARC helps to ensure that fraudulent activity appearing to come from a domain is blocked. When properly enforced, it will guarantee that a domain name is only used by authorized senders. When your domain name is used by impostors to send emails, this affects the delivery of your emails, as it affects the reputation of your domain. By installing a DMARC, you will help the delivery of your emails. DMARC will match the “header from” a domain name with the “envelope from” domain, using an SPF check. DMARC will match “header from” domain name with the “d= domain name” found inside the DKIM signature. 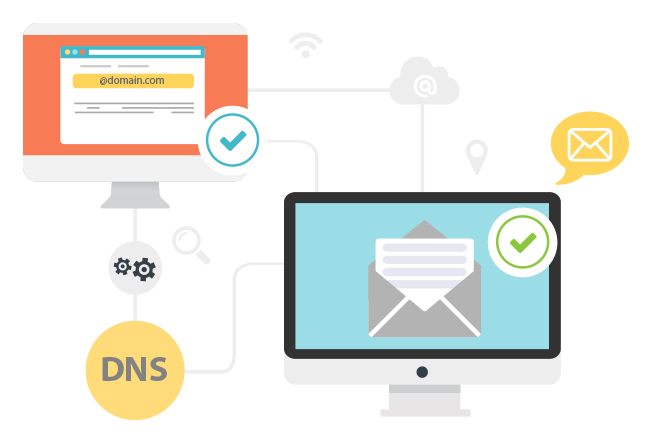 You will need to publish DMARC records in your DNS, this way, when an email receiver receives a message from your domain, it will search in the DNS for your DMARC, verifying that its actually coming from your domain.